Home/Diamond Jewelers, Jewelry, Know Your Diamond, Our Blog/Give Your Gemstones New Life! While we may say that diamonds are forever, there are a number of reasons why you may consider having a gemstone reset or a mount redesigned. Any time you’re considering having work done on your valuable gemstones, there are a number of factors you’ll want to consider as you choose the company you’ll trust to complete the work. Let’s take a look at what you need to know about resetting gemstones. First, who has gemstones reset and why? People require our resetting services for a number of reasons. You may have an heirloom with beautiful and valuable stones that are set in a dated style or simply a style that doesn’t reflect your taste. 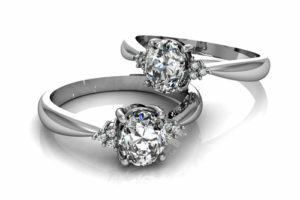 We can design a custom setting that uses your stones in a piece of jewelry you will enjoy wearing for many years. Sometimes people want to create a new piece of jewelry following a divorce — walking away from unpleasant memories and creating a fresh start. And special anniversaries may call for updating and upgrading precious engagement rings, transforming them into pieces that preserve the diamonds of your early marriage and combine them with a grander statement about your enduring love. You may also have loose stones you’d love to wear but aren’t sure how to transform them into a durable, unique statement piece. Whatever your reason for having stones reset, you want to choose your jeweler carefully. Most importantly, you must choose a jeweler you can trust. 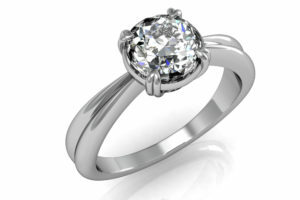 Take the time to read reviews and check customer ratings for any jeweler you’re considering. Your gemstones are too precious to trust with just any company. Do a little homework to find a reputable, honest jeweler. Once you’ve found a jeweler who has a stellar reputation for scrupulous honesty, make sure the people who will be handling your stones and designing your jewelry are competent. You want experienced, skilled bench jewelers. You want technologically proficient designers who have the tools for good quality computer-aided design and 3-D modeling of new settings. Also, should your heirloom stones be showing their age – with an outdated cut or scratches on the surface – make sure your jeweler uses skilled lapidaries who are experienced at restoring your gemstone to its original lustre. As resetting gemstones can stress fragile stones, it’s critical that you select a jeweler with lots of experience in handling heirlooms. Stones must be carefully inspected to ensure they can withstand the resetting process. Don’t trust your great grandmother’s engagement ring to a fly-by-night outfit. Find a jeweler who will handle your precious stones as if they were their own. Finally – and this is the fun part – find a jeweler who will work with you to create the new jewelry of your dreams. Look at examples of previous work and seek out jewelers who have done work in the style you enjoy. You may want to create a new piece with a vintage period flair or reset a stone into a classic, timeless mount, but make sure you find a jeweler who will take the time to discuss your preferences and help you design a custom piece you’ll be proud to wear. 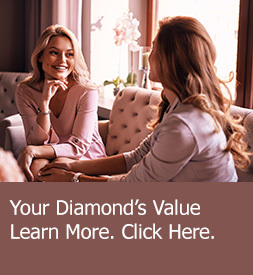 Whether you’re looking to combine several different gemstones into a single memento of your loved ones or you’re looking to start a new chapter of your life with a diamond reset to reflect your new beginning, the process of resetting and redesigning jewelry can be exciting, fun, and a solid investment if you’re partnered with the right jeweler.